Recent decisions under 35 U.S.C. §§ 101, 112, and 103 come into focus when viewed through a common lens. During the October webinar, Daniel Hegner of Bejin Bieneman discusses the convergence of federal court and PTAB decisions questioning functional language in patent claims. 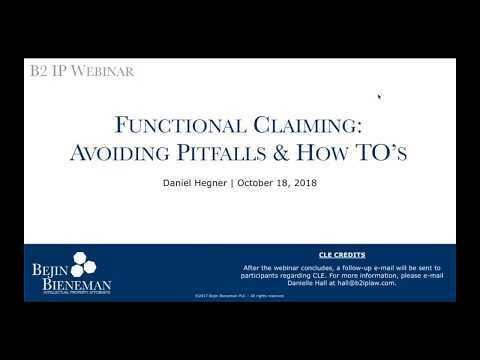 He then takes a practical look at the evolving challenges to functional claiming, providing tips to assist the practitioner in taking advantage of U.S. law permitting functional claim language, but at the same time avoiding functional-claiming pitfalls.